To improve productivity and efficiency, reduce costs and environmental impacts and enhance quality assurance, Servier CDMO is implementing an operational excellence (OPEX) continuous improvement program. Mini-transformations across multiple sites are enabling the company to provide significant added value to its clients and build greater trust with all stakeholders. With the pharmaceutical industry facing growing pressure to reduce costs and accelerate the development and commercialization of novel medicines, Servier CDMO recognized that added value could best be provided to its customers by increasing the productivity and efficiency of its own operations. The company’s existing and ongoing continuous improvement program typically delivered improvements on the order of 5-10% annually. To provide measurable added value to its customers, Servier CDMO aimed to achieve more significant improvements on the order of 20-25% within 2018 in EU and 2020 throughout the entire network. To achieve such significant change, the company needed to launch a transformation. That required moving beyond continuous improvement to Operational Excellence (OPEX)..A packaging pilot program was implemented at Servier CDMO’s site in Ireland in 2016. Teams from plants in France and Poland were also trained so they could, in turn, deploy the program at their facilities. Since then, 11 mini-transformations have been completed at four sites, two more are in progress and an additional two will be launched during 2018, for a total of 15 transformations at six different facilities. The company intends to have achieved a 25% reduction in costs at all sites by 2020. Through its OPEX program, Servier CDMO is gaining greater control over all business processes involved in the provision of pharmaceutical custom development and manufacturing services. Supply chain management from procurement of raw materials to packaging components is enhanced. Performance, with respect to quality assurance, environmental management, energy consumption, production costs and scheduling is improved. A right-first-time approach results in a production process with minimal losses. Servier CDMO’s OPEX approach focuses on Productivity Improvement using the mini-transformation (mini-T) methodology. Controlling Productivity results in greater control of production processes and product quality, as well as the minimization of losses, leading to the creation of added value for the company. Employees are trained in new skills and granted the autonomy to make rapid decisions when appropriate. The first step in introducing the mini-T methodology at Sevier CDMO involves education of the production team about three key OPEX concepts: the operating system, management infrastructure and mindset and behavior. The first OPEX project at Servier CDMO involved packaging and quality control labs area in Arklow (Ireland). This program was then deployed on the European sites; all the product flow area followed in the transformation. The processes, flows and equipment use were analyzed using VSM or Material Information Flow Analysis (MIFA), considering the value they provided as seen from the customer perspective. Reducing the change time has provided numerous benefits. In addition to reducing operating costs by freeing up available resources (man and machines) to perform more value-added work, Servier CDMO’s available capacity and flexibility to respond to customer demands is increased. As a result of this mini-transformation, the productivity of Manufacturing Unit 1 (Gidy – France) increased by more than 39%. The foundation and main goal of the OPEX program at Servier CDMO is to achieve these high levels of increased productivity by simplifying activities and enabling employees to work smarter. The OPEX program is much more than a lean management program. It is a deep transformation through balanced opportunities within the three dimensions of OPEX (Operating System, Management Infrastructure, Mindset & Behaviors). New methodologies and lean tools are used in a step-by-step manner to identify the best levers to work on, the root causes of problems and develop solutions that lead to improvements in operations. Servier CDMO’s OPEX approach focuses on Productivity Improvement using the mini-transformation (mini-T) methodology. The deep problem-solving method is just one of the many new tools that employees of Servier CDMO have been trained. This method and other lean tools challenge people to change the way they think about their specific work and their role in the overall operation of the plant. Indeed, the Operational Excellence program at Servier CDMO has focused extensively on dealing with the behaviors of employees and has required the development of real trust within each OPEX team. These initial transformations are just the first steps in the implementation of Operational Excellence at Servier CDMO. Currently, the focus is on the shop floor — manufacturing, packaging, logistics and quality control operations. In the near future, we will be expanding the OPEX program to other activities, such quality functions. There is tremendous opportunity to enable people to work smarter and thus huge potential for improving productivity and efficiency. Given the challenges with changing the way people think and behave, we are also focusing additional efforts on people development, including the implementation development programs for managers. This phase will enable Servier CDMO to achieve further advances and ensure that implemented transformations are maintained and improved upon. We are also exploring the use of new technologies, particularly digital capabilities, to enhance our OPEX program. OPEX is, in fact, a never-ending story. At Servier CDMO, we are committed to continuous improvement using state-of-the art tools that enable our employees to have more freedom to make decisions, including solving problems, that enable them to work smarter and safely, providing high-quality products for our customers. Sébastien manages the OPEX (Operational Excellence) deployment over 11 industrial sites, to achieve Servier’s Industry Division commitment on production costs targets. Focused on value added activities and change management, Sébastien operationally designs the Institute of Management for Performance Success (1st Servier internal LEAN Academy for managers). He supports international site change teams to deploy the Performance and Change Management techniques. 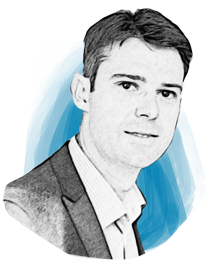 With over 10 years in Chemical Development Sébastien is an expert in Chemical engineering. And with a cumulative experience of 7 years in Performance and site Steering committee, he is used to managing strategic road map building plans, as well as performance and change management topics, like LEAN 6 Sigma deployment, ORIL Industrie 2020 transformation road map and 1st internal LEAN Academy for Managers (IMPS). Prior to joining Servier, Sébastien acquired versatile experience through almost one year in the GE Medical Systems production department (BUC France) and through another year in the Eastman Kodak Research & pilot center in Rochester (USA-NY). Sébastien then worked for 7 years as a Chemical process engineer in the Servier’s Industrial R&D Center in Normandy, where he managed all scale-up and process development studies for API crystallization and thermal process safety. He then lead this Process Engineering Department for another 3 years, before moving to the head of the office to manage OPEX.